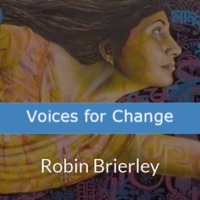 Voices for Change speaks to Robin Brierley, who is an independent consultant who works for a number of organisations in the UK. 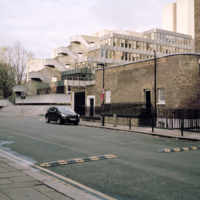 Voices for Change speaks to Doreen Boyd, who is one of the Associate Directors in the Rights Lab at the University of Nottingham, where she oversees the Data Programme. Voices for Change speaks to Kevin Bales who is the Rights Lab Research Director, and Professor of Contemporary Slavery. He is on the Board of Directors for Freedom Fund and is a member of the Global Slavery Index Expert Working Group. 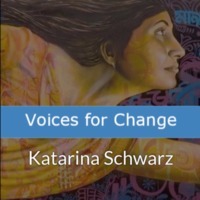 Voices for Change speaks to Katarina Schwarz leads, who the Rights Lab's work on antislavery legislation as part of its Governance Programme. Voices for Change speaks to Helen McCabe, who is an Assistant Professor in political theory in the School of Politics and International Relations at the University of Nottingham. Voices for Change speaks to Leila Segal, the director of Voice of Freedom. 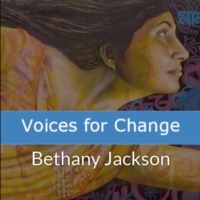 Voices for Change speaks to Bethany Jackson, who is a PhD student at the University of Nottingham in the Geography Department. 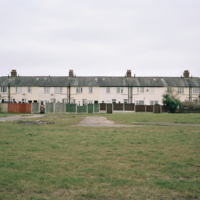 Her thesis and work with the Rights Lab focuses on the usage of remote sensing in industries that utilise modern slavery. Voices for Change interviews Annie Kelly, who is a reporter and editor at the Guardian, where she leads their modern slavery reporting. Voices for Change interviews Patricia Carrier, who is the Project Manager of the Modern Slavery Registry at Business and Human Rights Resource Centre. Voices for Change interviews three members of the International Justice Mission: David Westlake, the CEO of IJM in the UK; Steve Webster, the Chief Operating Officer; and Paul Newton, who is an international advocate for IJM. Voices for Freedom interviews Shayne Tyler, who is the Operations Executive at Manor Fresh Limited, and has campaigned tirelessly against modern slavery since discovering it within his organisation in the year 2000. 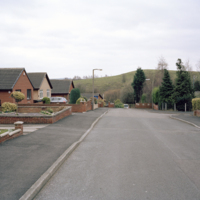 Voices for Freedom interviews Zoe Trodd, who is the Director of the Rights Lab which is the Unviersity of Nottingham Beacon of Excellence that focuses on research to end slavery by 2030. Voices for Freedom interviews Kieran Guilbert, journalist at the Thomson Reuters Foundation, where he is the Slavery and Trafficking Editor. Voices for Freedom interviews Nottinghamshire Police and Crime Commissioner Paddy Tipping as part of the Anti-Slavery Day events put on by the Rights Lab at the Nottingham Council House. Voices for Freedom interviews Alison Gardner, leader of Slavery Free Communities at the University of Nottingham's Rights Lab. Voices for Freedom interviews Alex Norris MP as part of the Anti-Slavery Day events put on by the Rights Lab at the Nottingham Council House.